I love this concept from Katrina at Mama’s Organized Chaos. 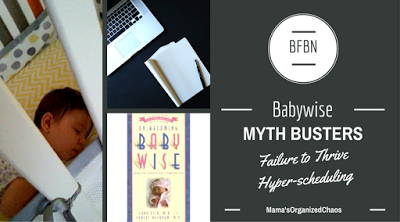 Babywise is all about learning the ideal schedule! Would it be awesome to have a baby sleep until 8 AM each day? Yes! And some babies do! There are others, however, who wake up at 7 no matter what. My oldest was (and is) like that. Mamas with big dreams of sleeping in have to hang that dream up and go with the ideal schedule for their individual baby. Why? Because that is what Babywise is. 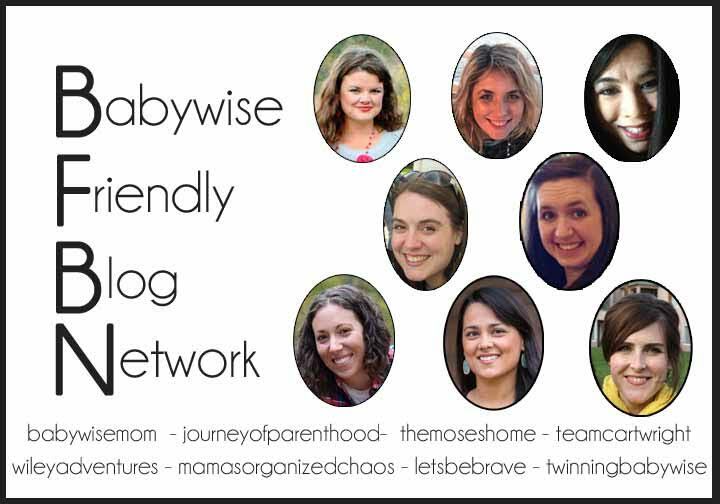 Babywise is learning about your individual baby and going with what is best for him/her. “Today I’d like to address something that I’m very passionate about: Babywise Isn’t Imposing a Schedule, it’s Learning the Ideal Schedule. This is a very important idea that often gets lost (unless you’ve read the book). Head on over to Katrina’s blog to read four key areas that prove Babywise is about learning the ideal schedule, not imposing a schedule. Wednesday: Shea at The Moses Home will be talking about . Natasha at Let’s Be Brave is talking about how Babywise works for you; you don’t work for Babywise.